How can I pinpoint the exact cause of this? It has to be a large transaction that is open but how can I determine that? Best thing to do is to collect what caused the log file to grow by setting up an alert. Not the answer you're looking for? 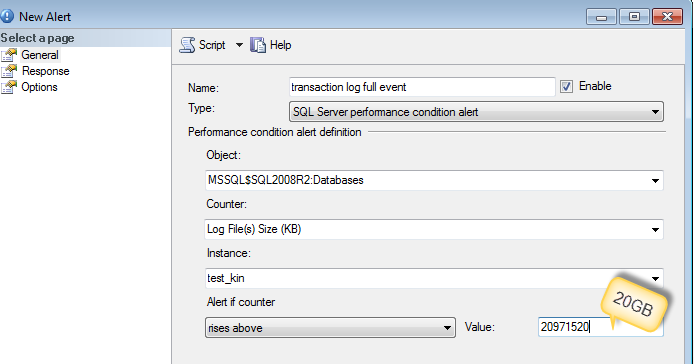 Browse other questions tagged sql-server sql-server-2008-r2 transaction-log or ask your own question. MS SQL - Can I find a source of prior log growth? Breaking up large transaction - worth it? Tempdb log file was growing continuously on SQL Server 2008 R2-SP2. Could a pending insert statement which uses temporary table be a cause? How can deleting similar number of rows result in very different log growth?